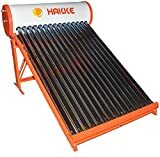 Top 10 Best Solar Water Heaters in India 2019 - Top 10 In India - Only The Best of everything! LATEST product list, updates regularly! What Type of Solar Water Heater should I choose in India? Does a solar water heart really work? Yes it does. Solar water heater: how does it work? What is a solar water heater ? Hey you are on the best page on the Internet if you want to buy the best Solar Water Heaters in India. This list of Solar water Heaters features only the Top Bestsellers, and the latest models. Not only that, the Top 10 Best Solar Water Heaters in India is a list of the most popular solar water heaters that gets updated every single day. That means you get the best as well as the latest. There are a lot of technical details that you can get into when it comes to choosing a solar water heater, but that is something best left to experts who are into creating solar water heaters. What you need to know is a couple of important things, that will help you decide the kind of solar water heater that is best for you. 1. There are two types of solar water heaters, the Flat Plate Collector Solar Water Heater and the Evacuated Tube Collector Solar Water Heater. 2. There are two types of systems in use for taking the water from the Solar Water Heater into your home – Thermosyphon and Forced Circulation Systems. 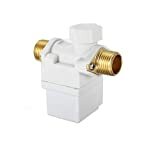 The Thermosyphon system does not have a water pump to take the water into your home and works on the principle of solar heat, and are simple and relatively cheaper. The Forced Circulation System uses a water pump to take the water into your home or institution. 3. The Thermosyhon System is better for homes and smaller institutions it is cheaper to run as it does not require an addition pump. 4. Both the Evacuated Tube Collector Solar Water Heater and Flat Plate Collector Solar Water Heater can be used with either a Thermosyphon System or a Forced Circulation System. 5. The Thermosyphon system needs good water which does not have high chlorine content. 6. The Forced Circulation System is generally used for large institutions and larger developments. 7. The Flat Plate Collector Solar Water Heater is made of metal and has a longer life. 8. The Evacuated Tube Collector Solar Water Heater uses glass as a component which does not have as along a life as the Flat Plate Collector Solar Water Heater. 9. If the water in your area is hard and has more chlorine then the Evacuated Tube Collector Solar Water Heater is preferable as it does not get blocked due to scaling from the hard water. 10. The Flat Plate Collector Solar Water Heater can be used with hard water, but it will need an additional heat exchanger unit. 11. In warmer regions both the Flat Plate Collector Solar Water Heater and the Evacuated Tube Collector Solar Water Heater perform equally well. 12. However in colder regions where there is a chance of water freezing, the Flat Plate Collector Solar Water Heater is preferred as they avoid the water freezing even during sub zero temperatures. 13. Even the Flat Plate Collector Solar Water Heater can be used in colder regions but it will need anti-freeze which increases the cost. After installing the solar water heater it is important to ensure that there is proper maintenance. You must perform periodic maintenance to ensure that the solar water heater keeps on working efficiently. Pick you choice, they are all best sellers. Samurai Solar Water Heater 100 ltr. Samurai Solar Water Heater 200 ltr. A swh of 100 liters capacity can prevent emission of 1.5 ton of carbon-dioxide per year. Latest solar Water Heating , Durable and long life, Nil maintanance , Storage tanks are specially suitable for Indian hard water conditions. Comfort, and a lower energy bill, is a great combination that is possible only through the use of a solar water heater. With solar water heaters for your household, you will save substantially on your annual electricity costs. Solar water heaters are becoming more and more popular. This is not surprising, because with a solar water heater you save almost half of the energy necessary to heat the water in your home. You also reduce by 50% the CO2 impact and that is extremely beneficial for the environment and your wallet. A solar water heater is connected to your roof and the sun warms him. As a result , the boiler is very durable. A solar water heater system consists of a solar collector, which is on your roof, and which receives all the sunlight. The collector then converts the sunlight into heat energy. A storage vessel with 80 to 300 litres of water is then transferred to your bathroom taps. A solar water heater ensures an average household savings of approximately half of the consumption of electricity for hot water. For example, a household of 4 persons will approximately save 230 m3 of fuel and 400 kg of CO2 emissions. The price of gas will only increase in the future, the annual savings will therefore increase. So you will actually earn back the price of a solar water heater very fast! The Government of different states have given pretty good subsidies on solar technology including solar water heaters. You need to find out about your state’s subsidy on solar water heaters. When you purchase a solar water heater, ask the seller to also arrange for a subsidy for you. Solar water heaters require less maintenance than other heat sources. However , periodic maintenance by a specialized technician is recommended, because it keeps your solar water heater in top condition. A solar water heater emits no CO2. Top 10 Best Solar Water Heaters in India - The smartest and quickest way to find the best products. Daily updated Top 10 lists. Look, Choose, Buy Smart!